The history of legal education in Ontario from the 1920's to the 1950's must seem a narrow and parochial topic: likely only to interest a few aging members of the Law Society of Upper Canada and academic specialists. Ian Kyer and Jerome Bickenbach have managed notwithstanding to make of it for most of their book an intriguing and occasionally dramatic narrative. They bring to life the civilised provincial world before Toronto Life. But though they strive to be fair, they miss in their uncritical acceptance of the apparent march of progress and the role of their hero, Cecil Augustus Wright, whose biography their book doubles as, much of the reason why their story should be of the widest possible interest. Cecil Augustus "Caesar" Wright, born in 1904, was at the top of his classes coming out of high school, the University of Western Ontario and Osgoode Hall Law School, where he "achieved a standing of 94.5%." Such a consistent career of scholastic success is not often the beginning of a great life and it cannot aptly be called brilliant. But it was for Wright the foundation of his lifelong career and his historic role set out in this book. The immediate result was a year at Harvard Law School from 1926 to 1927 and a doctorate in "juridical science." He then returned to Osgoode Hall to teach law. Legal education in Canada has never recovered. For a hundred years Harvard Law School has been the single most prestigious educational institution in the United States, the school of Wall Street lawyers and Supreme Court justices and senators and cabinet officers, and a president. The foundation of this prestige and influence lies in reforms made in the 1870's by the modestly named Dean Christopher Columbus Langdell and usually known as the Langdell case method. In theory this meant that, instead of simply setting out in lectures and textbooks a system of rules of law drawn from statutes and cases, a selection of reasons for judgment in cases decided in the higher courts was set before the students and by "Socratic" questioning the students were lead to find the rules in the cases. The case method was perversely recommended by Langdell as "much the shortest and best" way of mastering the law. In fact it is absurdly inefficient. It is largely irrelevant to the larger and growing part of the law that is found in statutes and regulations. How to read a case, how to find the rules it expresses and how to distinguish it on or extend it to a new set of facts are learnt easily enough on reading one's first few cases. At Osgoode Hall Law School in the 1970's this was left to disregarded teaching assistants in a couple of hours a week in first year together with such jurisprudence and legal history as the modern professors of law thought needful. But the simple theory of the case "method" rather conceals Langdell's project and the "revolution" he began. Langdell saw law as a science (thus the absurdly named doctorate Wright earned in one academic year). Cases were the raw data of this science. He wanted to make of Harvard a national law school where the "science" could be studied without regard to the particular requirements of the various states; and he wanted to create a new sub-profession of law teachers, untainted by practice, the scientists as opposed to the mere technicians of the law, who would pursue their science in the "legal laboratory" of the law school. The legal professoriate would have authority in politics and social reform. As putative experts in justice they would deserve and achieve the authority of Plato's philosopher kings. Harvard achieved much of Langdell's ambitions and in its path other American law schools followed. On the courts and as critics of the courts and in government and politics and major law firms Harvard's faculty and graduates have exercised a powerful influence on American life. Cecil Augustus Wright returned to Osgoode Hall with similar ambitions and spent the rest of his life in a fight to achieve them. In Ontario legal education had followed a very different course. It consisted of a mix of practical experience in law offices and lectures given largely by practising lawyers. Though circumstances differed from country to country and generation to generation it was basically legal education on the English model under which solicitors articled and barristers qualified by a mysterious process of eating dinners at the Inns of Court and devilling. There were always practical difficulties. Lectures given at Osgoode Hall, typically at the beginning and end of the day, meant all law students had to find articling positions in Toronto. Satisfactory positions where students actually learnt something, had something to do and were adequately paid were seldom available for everyone and lawyers were not always happy with students who came late and left early for lectures. There was probably always a case for a major reform of legal education in Ontario and the Benchers of the Law Society played their hand poorly against Wright and his allies. What was needed was the adaptation of a system whose principles were sound to the practical difficulties of a large province with a rapidly growing and dispersed population and ever more complicated law and practice. Wright was not interested in pragmatic reform. His attack was on the principle of office training mixed with instruction from practitioners. The volunteer self-government of a profession or other institution is an admirable thing but it only works when there is a traditional agreement on the goals and principles of the institution. Faced with an attack on principles benchers or other governors break down into reactionaries and appeasers. The reactionaries may not be wrong because they cannot make an effective argument for principles they never before questioned nor the appeasers right because they will not. From his return to Osgoode Hall in 1927 Wright was arguing for the establishment of a full time, three year, post-graduate law school. It took him thirty years to achieve his goal. There were occasional outbursts of controversy in the 1930's and 1940's but no important changes took place. Wright remained one of only three or four full time teachers at Osgoode Hall and his students were his for no more than a couple of hours a day and had their minds principally on their offices and their careers. To Wright's chagrin students could enter law straight out of high school and get called to the bar at the price of a couple of extra years working in a law office. Equally chagrinning were students who had studied law at W. P. M. Kennedy's academic Department of Law at the University of Toronto earning a B. A. that did not advance them towards their call to the bar but made them according to Wright "self-satisfied" and "difficult to teach." In 1948 Wright became Dean of Osgoode Hall Law School. In January of 1949 after a lengthy study of legal education the Benchers voted to continue the longstanding system of concurrent lectures and articling. Wright, John Willis, Bora Laskin and Stanley Edwards, the entire full time faculty of the law school resigned. The newspapers, The Globe& Mail in the lead, made a sensation of the story and the resulting controversy well earned the epithet given it twenty years later by Bora Laskin: "the fiercest debate." There could be no turning back. Osgoode set about rebuilding its faculty under the guidance of the 74 year old John Delattre Falconbridge, who had been Dean from 1924 to 1948. Kennedy was opportunely retiring at the University of Toronto and Sydney Smith, an old friend and ally of Wright and President since 1946, snapped up Wright for Dean of the now "School" of Law. Wright was free to devise the full time, three year, post-graduate LL.B. course he had his heart set on. Smith only asked for and got two years' credit towards a call to the bar from the unnerved Law Society and the University of Toronto Law School was threatened with a slow death for lack of students. Victory came as much because the growth of the profession took legal education beyond the physical capacity of Osgoode Hall and the financial capacity of the Law Society to provide. In 1957 the Law Society was forced to turn to the universities for help. The University of Toronto Law School has now established a fair claim to be the leading law school in the country, much firmer than the claim of Osgoode Hall Law School, forced by overcrowding to move in 1968 to York University in Downsview, eleven miles from Osgoode Hall, to be the "best law school in the Commonwealth," although its standing has as much to do with urban geography as academic excellence. Without such fierce debate and generally far in advance of Ontario, legal education in the other common law provinces has followed a similar course. 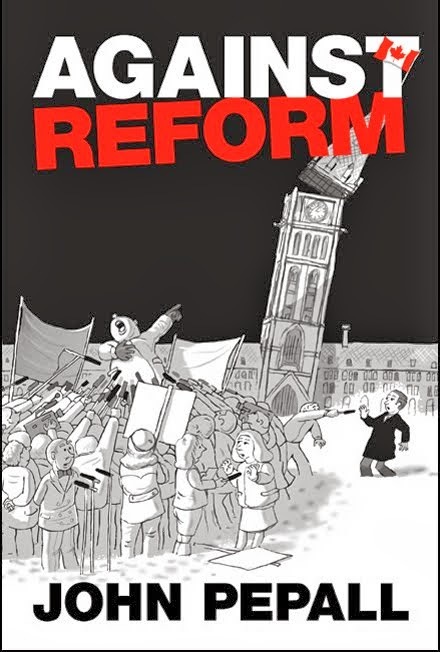 It was Ontario's contribution to dramatise the conflicts between lawyers and law professors. But Kyer and Bickenbach fail to establish the importance of the change and the issues behind the "fiercest debate." The increasing impracticality of the concurrent system left the Law Society's old guard apparently defending the indefensible. Wright's own intellectual confusion obscured the implications of his ambitions. Kyer and Bickenbach concede that Wright had no sure grasp of the issues in American jurisprudence that were alive at Harvard when he was there and made no contribution to legal theory in his chosen field of torts or elsewhere. They suppose, because he said it, and because he was theoretically effete, that his goal was a practical law school albeit on a new model. But his real ambition can be made out well enough from the concrete elements of the law school he campaigned for and finally built, his legal teaching, such as it was, and the development of law schools in Ontario since 1957 or in the United States. The law school is the law professor's creature and servant. The law societies specify a number of basic subjects to be covered but these can be got through in less than half the three years of the LL.B. course and are no imposition. The professors are free to teach them as they please. The position of law as a post-graduate degree requiring at least two years of undergraduate work for admission protects the law schools from students whose commitment to the course or vocation is too weak to keep them steady and compliant or who might be rebellious. Their control of access to the perennially prestigious profession assures them of a steady demand for places and an oppressive authority over their students. The absurd length of the course, about twice as long as is needed to prepare for the practice of law, leaves plenty of time for the professors to pursue their own interests before a conscript audience. Wright's use of the case method was typical of the followers of Langdell, though not apparent from the simple theory. He was principally interested in criticizing the decisions, berating the judges as illogical, biased and incompetent. After all they had not been to Harvard. As a preparation for the practice of law this was about as useful as a harangue against the iniquities of the Income Tax Act might be for filling out a return. Lawyers have to deal with the law as it is in advising clients how to comply with it or trying to persuade a court that their client's conduct comes within it where it arguably does. Yet what the law should be, rather than what it is, influencing its change rather than using it as it is, is what interests a law professor. Law schools now exist to appropriate the prestige of the law and the profession of law in support of the law professors' opinions on and influence over what the law should be. The case method serves an ideological purpose. It forces the idea that the law is made in decisions of courts of appeal and that the rights and wrongs of it can only be understood by lawyers and principally law professors. Bad laws are made not because of bad legal reasoning but because of bad politics, economics and social theory. Law professors do not necessarily know anything more about these things than the average citizen. It is an irony of law schools that law professors priding themselves on the breadth of their learning can hold forth before classes in which on every score except the mere knowledge of the system of rules, which they despise, they could be outmatched by their students: in philosophy, politics, sociology, economics and experience of life. The law professor's leverage over his students' careers allows him to indulge his intellectual conceits. Wright, from the start, simply held forth on a selection of cases generally damning Canadian and English decisions, which were after all the law of Canada, and praising American decisions. He was a dreadful teacher. The splendid J. Shirley Denison, a long time bencher and Treasurer of the Law Society in 1949, wrote in 1947, thinking of Wright, that successful teaching required "some humility and a sense of humour". These qualities Wright conspicuously lacked. His teaching expressed contempt for his students, whom he was uninterested in assisting to the successful practice of law. The law schools, bringing prestige and a lucrative enrollment to their universities, have now had it largely accepted that there is a discipline quite as respectable as chemistry or history that they teach and command. They no longer call it a science as the early Harvard professors did. It is not however the despised black letter law, the common tools of a vulgar trade. 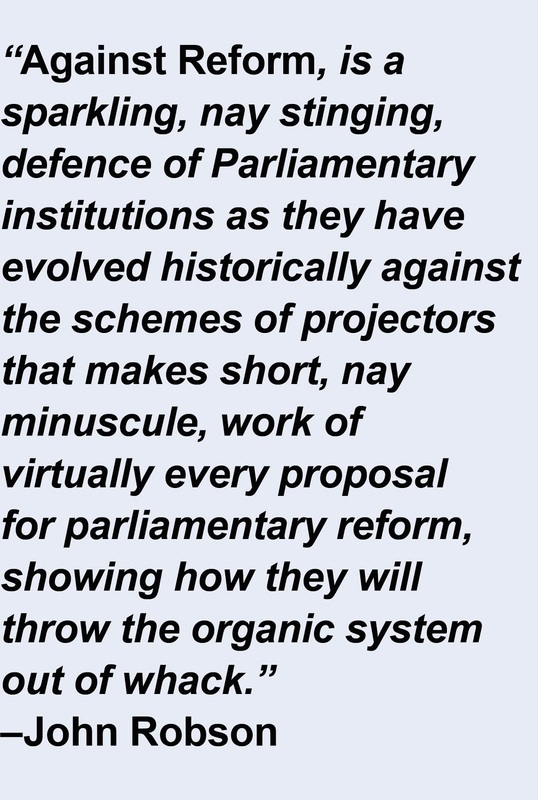 Its professors command the workings of the law reform commissions keeping politicians' dirty hands off the work of legislation. They are thought fit to be judges, most famously in the case of Bora Laskin, unlike Wright a fondly remembered teacher and a considerable black letter law scholar, but a dreadful judge. From the bench they want to make law. From off the bench law professors' court reviews, written with student assistance in the plenty of time their part-time teaching at full time pay allows them, exercise an unwarranted influence on the law. They are received authorities on what the law should be in almost any field. The Globe & Mail, whose unctuous officiousness was already evident in its support of Wright in 1949, has a particular weakness for law professors and seldom allows more than a day to go by without printing some law professor's conceit on its op ed page. The case method of teaching has meant that there are few satisfactory texts on Canadian law. What texts the law professors produce are peppered with their unsupported opinions on where the law is wrong. The ever more complicated law is often without satisfactory guides and corrupted by the law professors' pervasive Pyrrhonnism. The law's special function of giving order and predictability to our relations is increasingly ill-performed. The Charter and subsequent constitution making have played greatly into the law professors' hands. They have encouraged a general justiciablisation (an ugly word for an ugly thing) of politics. More and more, public issues are not settled politically with all assumed fit to speak their mind. They are settled in court and only lawyers and particularly law professors are presumed to know their rights and wrongs. Practising lawyers' opinions are traditionally, rightly and still for the most part, for their clients and they are generally not free to practise political law. Law professors have the time and the audience to assert their authority on these issues. They are heard as experts, though in the final analysis their arguments have no more authority and rely on no more special knowledge than general discourse. By a kind of mystification the arguments are dislocated. Instead of saying something is good or bad it is said to be or not to be against the Charter. This is the outcome of Langdell's and Wright's ambition. The law faculties have attained the authority of a mystificatory elite. The paradox is that to do it they have had to take over the training of lawyers while holding the practice of law and by extension training for that vulgar trade in contempt. Nowhere else is there such a conflict in the interests of teachers and the taught. Elsewhere in a university there may be a vast gap between the degrees of interest of a professor and a student. Many undergraduates are uninterested in their subjects and just going through the academic motions while "finding themselves" or enjoying "college days." But any interest they do have in a subject is shared with their professor who, however ineptly, will try to assist it. In law schools, as Wright's teaching showed, the student's interest is in knowing what the law is and the professor's in holding forth on what it should be. Of course the professor may know a good deal about what it is and the more decent, as Laskin did, will try to impart this to the students. More importantly the students may be interested in what the law should be; but they are as likely to be able to teach their professors something about that. There are two law subjects appropriate to a university and of little use to a practising lawyer. They are legal history and jurisprudence or philosophy of law. These subjects have characteristically prospered in English universities and they were prominent in W. P. M. Kennedy's Department of Law at the University of Toronto. They have almost no place in Canadian law schools. The study of history requires and teaches humility, not something to endear it to the modern law professor. They want only a superficial history of law, which by collapsing seven hundred years of the evolution of the common law makes it seem that the judges busied themselves continuously with making law rather than mainly deciding cases according to the law they found. What is law? How does it get its authority? What part do or should judges play in the making of law? are questions to which a series of not entirely consistent answers are assumed in law schools, but the hard task of finding the justification for those answers or finding other answers, the province of jurisprudence, essentially a branch of philosophy, is scarcely touched. A serious study of jurisprudence would undermine law professors' claims to authority. It cannot be undertaken without some philosophy. What passes for jurisprudence is the law professors' ideology, chiefly expounded by the American charlatan Ronald Dworkin, Professor of Jurisprudence at Oxford and pillar of The New York Review of Books. Wright was no scholar of legal history or jurisprudence. After one attempt to teach jurisprudence at Osgoode Hall he "killed it" (his phrase) in 1928 and never tried teaching it again. His chosen specialty, torts, was one in which the principles are peculiarly simple if vague but the social implications enormous. The contribution of Wright and law professors generally has been simply to scoff at any rule that restricted the cases in which a person could claim damages for personal injury or the kinds of damages that could be claimed. Those trying to solve the liability insurance crisis of the late 1980's, or indeed to determine whether it is real, will not find any help in Wright's bibliography. Wright's was an odd life. Forty years spent lecturing to students he was not interested in on points they were not interested in, writing carping comments for law reviews and doggedly manœuvring for the creation of a law school where he could rule the roost. After he achieved his goal his career was an anti-climax. There were no innovations in curriculum or teaching methods at the University of Toronto Law School. His publications petered out. Law professors became a numerous band. He was, mercifully, passed over for Chief Justice of Ontario and a place on the Supreme Court of Canada. "literally forced from car to car by certain members of the Association who seemed to treat me as some kind of moral leper and who were fairly vocal about it in my presence and in the presence of my son." Those rude lawyers cannot have known the other story, but they may have known enough about him to know it was in character and to make their behaviour understandable. A few months before Wright had written every English law professor he knew urging them to pass the word that none of their colleagues should accept a position at Osgoode Hall. Canada's identity and independence have been importantly and dramatically injured in the law, where it has independent traditions and institutions to support them but, chiefly through the law schools, has seen them undermined. The "nationalists" have ignored or even connived at the injury. Wright played a significant role in this. His ideals were American law schools and American law. He scorned the English legal tradition in Canada and its Canadian developments. Though confirmed by Kyer and Bickenbach as a maker of Canadian history in his field his attachment to Canada was no more than the Pennsylvanian's attachment to Pennsylvania. It is painful to read of the anxiety of his teachers over whether the top student at Osgoode Hall would be found fit to attend Harvard Law School. It was perhaps a pity for Wright and for Canada that he did not get a job at the University of Pennsylvania Law School that looked likely in 1929. In 1988 twenty-eight of the forty-three full time faculty at what is now called the Faculty of Law at the University of Toronto have American degrees. The American influence in the law schools is the strongest force propelling our law ever closer to American law. American law and jurisprudence has been fundamentally affected by the Constitution and particularly the Bill of Rights. That fact made it particularly inapt as an influence in Canada. The Charter is both in some measure an effect of and a powerful stimulant to this influence. Twenty years after Wright's death the Law Society has no spirit to resist the law schools. Law professors are called to the bar without articling or passing the Bar Admission Course, the Law Society's vestigial practical law term, now given in Ottawa and London as well as at Osgoode Hall. They are elected benchers because they are better known to their former students than most prominent practising lawyers. The law schools control legal education. Their calendars are filled out with courses on "Gender Issues" or "Self-Determination and Liberation Movements" and a banquet of theoretical courses free of any particular theoretical discipline and taken only by handfuls of students desperate for something diverting to fill out their three years sentence without parole. Some schools perversely attempt to make up for their academic detachment from practice by offering expressly practical courses, typically in trial advocacy, but their ideas of what is involved in the practice of law are too select to be generally useful, even if law schools were the right places for practical teaching. Kyer and Bickenbach end by referring to a 1983 report on legal research and education by the ubiquitous Harry Arthurs, former Dean of Osgoode Hall Law School, Bencher from 1979-1983 and now President of York University. Arthurs qualified for the bar in1961 in the ordinary way, after articling, but went straight into teaching. Though disdaining the practice of law he has made the profession a special interest and has been very free of advice on its development and naturally regularly quoted by The Globe & Mail. Arthurs is sensitive to the contradiction between the law schools' function as training schools for lawyers and their faculties' academic pretensions. Chaffing at the "eclectic curriculum" necessitated by the law schools' status as professional training schools he wants those pretensions bolstered by the recognition of "The scholarly enterprise of law....as a distinct and separate endeavour, with its own goals, standards and basis of legitimacy." There is an admission in his arguments that for all their success in grabbing power and all the resources at their command the law professors have failed to establish securely an intellectually respectable discipline. But the goal, for all its vaguely high-minded presentation, is both unattainable and unwanted for two reasons. There is no academically defensible distinct and separate discipline of the law as Arthurs envisages it and the power of the law schools derives entirely from their control over entry to the profession. It is a sign only of the completeness of the law professors' triumph that they can contemplate being relieved even of the light burden of training lawyers and are chiefly anxious about their academic respectability. A survey of recent graduates in the February issue of The Canadian Lawyer reported widespread dissatisfaction with Canadian law schools, most of which, including the University of Toronto, were given C grades. The common criticisms were that they were too academic, the three year course too long and that law students should get more practical experience: all the arguments of Wright's opponents. The law schools are institutions more powerfully entrenched, more politically adept, with a greater vested interest in their status quo, and better access to the persuasive media than the Law Society of forty years ago. It will take a struggle longer than Wright's, champions more able and fiercer debates before their hold on legal education and their influence on the law are broken.